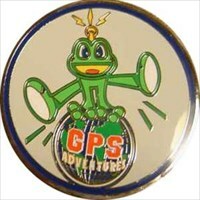 (TB1W3HZ) GPS Maze - Minnetrista Geocoin - Todies Wild Ride : PAY IT FORWARD - Groundspeak Minnetrista 'Maze' Geocoin - STOLEN??? Todies Wild Ride : PAY IT FORWARD - Groundspeak Minnetrista 'Maze' Geocoin - STOLEN??? Use TB1W3HZ to reference this item. To spread bike awareness to the world on its way to Rhodes island in Greece, in the cache named: Ancient Stadium & Ancient Odeon/Theatre of Rhodes (GC1Q2R3)! Tod was a great guy and geocacher who lost his life in a bike accident! This coin was released in the loving memory of Tod, and to spread bike awareness to the world! Please pay attention and drive or ride responsibly! No more blood on the roads! Please do not keep this coin for too long! It is not a keeper but it is a traveller!!! Help it with its mission! Thank you! :-) This coin is a part of the Pay it Forward Geocoin Adoptions . The premise is that those who have extra activated geocoins that may be doubles, coins that are no longer wanted, coins that will not sell or released coins someone does not want to keep track of, etc... For whatever reason, adopt them to someone who wants to see their own coin travel. The coin is probably lost or stollen! In case you will find it please send an email to the owner of the coin or log it and drop it to a cache to continue its travels! Thank you! Gallery Images related to Todies Wild Ride : PAY IT FORWARD - Groundspeak Minnetrista 'Maze' Geocoin - STOLEN??? We saw this nice coin.